These "Valentine's Glitter" papers were so much fun to make, and I hope you'll have just as much fun using them in your Valentine's Day scrapbooking and crafting projects. 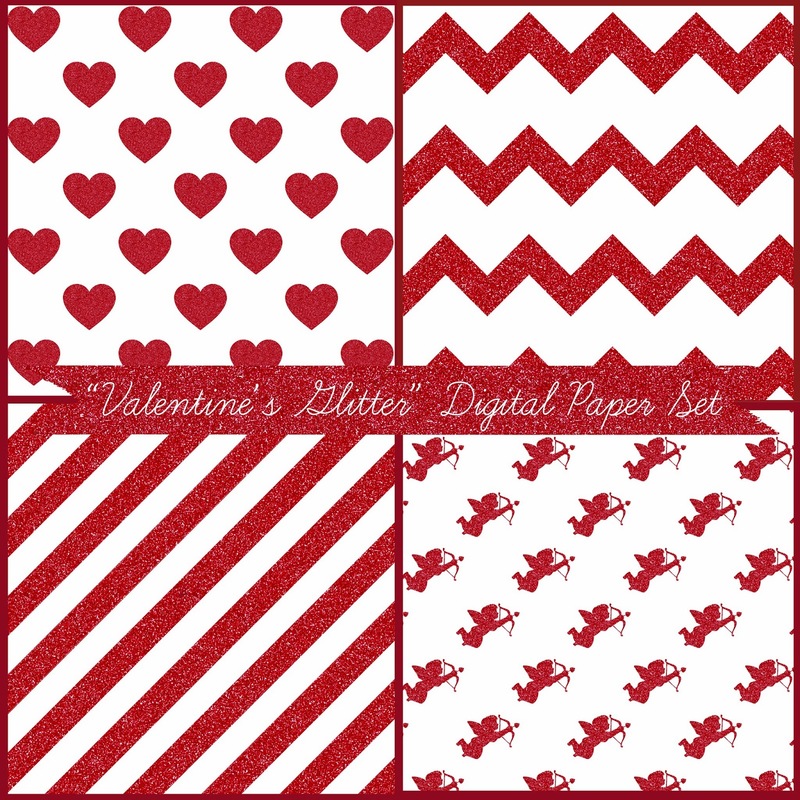 The set includes 4 12x12 inch digital papers with glittery red hearts, cupids, chevrons and diagonal stripes. Boy, are they sparkly! Just click the above image to download. Feel free to use these papers for any scrapbooking, crafting and digital design projects. You can also use them commercially, just please provide credit to Just Peachy Designs and include a link back to this website.